For the sales week ending March 10th and chart date March 23rd Fleetwood Mac have two albums in the Top 200. Rumours moves up to 188 from 194 last week even though it declined in sales by 4%. Sales this week were 2,836 vs 2,952 last week. Total U.S. sales since November, 1991 = 3,161,992. Greatest Hits has the greatest gain on the chart moving this week to 102 from 128 last week on a 14% sales boost or 4,444 units vs 3,883 last week. Amazon for almost two weeks had a deal on Fleetwood Mac's Greatest Hits selling the mp3 version for only $4.99. Total U.S. sales since November, 1991 = 4,632,885. On the Top 200 Catalogue Chart 4 titles remain with Greatest Hits moving into the top 10 at number 8 up from number 20 last week. Rumours is also up to 43 from 51 last week and The Very Best Of also moves up to 139 from 175 the previous week with sales at 1,764 for the week vs 1,696 the previous week. Total U.S. sales since it's release in November, 2002 = 1,550,529. Fleetwood Mac's self titled 1975 release moves up slightly to 153 from 158 last week shifting another 1,685 units vs 1,793 the previous week. Total U.S. sales since November, 1991 for that title = 905,666. "Everywhere" sticks around the UK Top 30 for a second week. That little Shetland Pony Ad continues to fuel the momentum. 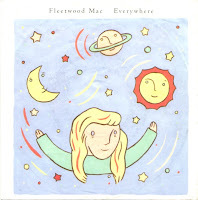 Last week when "Everywhere" re-entered the UK charts at number 15 it did so on sales of 17,798 singles giving Fleetwood Mac their first Top 20 hit in 25 years in the UK; only surpassed by the same track back in 1988 making it to number 4. The spin off effect on other tracks was evident with "Little Lies" last week seeing a bump in tracks sold as well (1,640) boosting it to number 147 on the unpublished charts. Go Your Own Way also saw significant sales (2,523) allowing it to re-enter the chart at number 98. Greatest Hits was the big winner in terms of percentage increase in sales jumping from 128 to 69 with 2,310 in sales. The Very Best Of also saw benefits climbing from 156 to 99 with 1,457 in sales. Rumours last week declined in sales moving from 17 to 19 with a respectable 8,722 units sold in it's sixth week in the top 20. This week "Everywhere" drops to number 29 on the Top 100 chart, which is still pretty good! After spending the last six weeks in the top 20 Rumours drops down to 23 from 19 last week. Greatest Hits drops to number 78 from 69 and The Very Best Of moves up to 74 this week from 99 last week. "Everywhere" also spends a second week on the Top 100 Singles Chart in Ireland moving down to number 74 this week after re-entering the chart at number 46 last week. 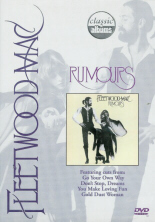 Fleetwood Mac's Classic Albums edition of "Rumours" enters the top 40 DVD Chart in Australia for the first time at #19. # 19 (NEW) Fleetwood Mac - Classic Albums "Rumours"